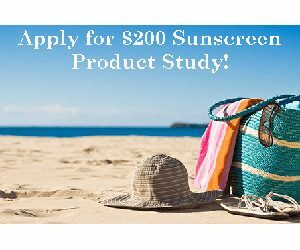 Apply for the Sunscreen Product Study! If you qualify, and are chosen to participate, you will receive $200 for completing both 3 – 5 day Product Trials. Simply follow the instructions from their website to apply.